We are saddened to share news of the passing of member Armen Ksajikian’s mother, Seta. Friends are invited to attend a memorial the morning of Saturday, June 9 at Forest Lawn Hollywood Hills. Read Seta’s obituary from Forest Lawn here. 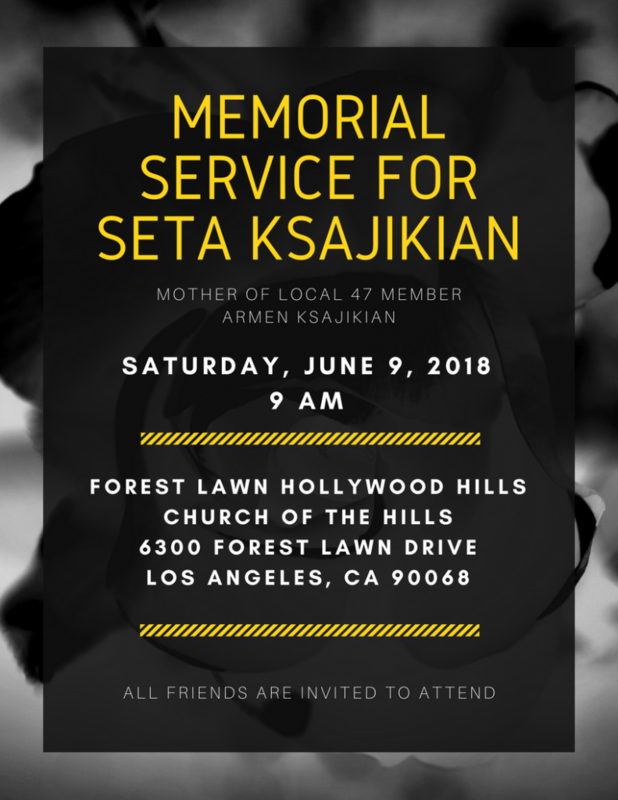 This entry was posted in Final Notes / In Memoriam and tagged memorial service, Seta Ksajikian on June 7, 2018 by admin.